Michael, Franklin and their psychotic friend Trevor have made the jump from last gen consoles to the world of next gen gaming. Was it a nice transition or should the game get curb stomped? Grand theft auto. A felonious term used for when someone steals a car. It’s also easily recognized by both the gaming community and everyone else as a franchise that has defined a genre of gaming and has led to more knock-offs than Gucci bags in New York. Dating back to 1997, the GTA series has used the same basic gameplay model, with a bunch of added bells and whistles through the years, to not only keep their fans happy, but also bring in new fans with every subsequent release. Grand Theft Auto V was released for the PS3 and Xbox 360 last year and has now been remastered for the next generation of consoles and the PC. Grand Theft Auto V stays true to the formula of the series and follows a trio of criminals ar0und what looks a lot like Los Angeles but is actually called Los Santos. The story is well written with enough twists and turns to keep you entertained. The twists start early so we will stay away from the body of the story itself but we will say that this isn’t a short story and that is a very good thing. 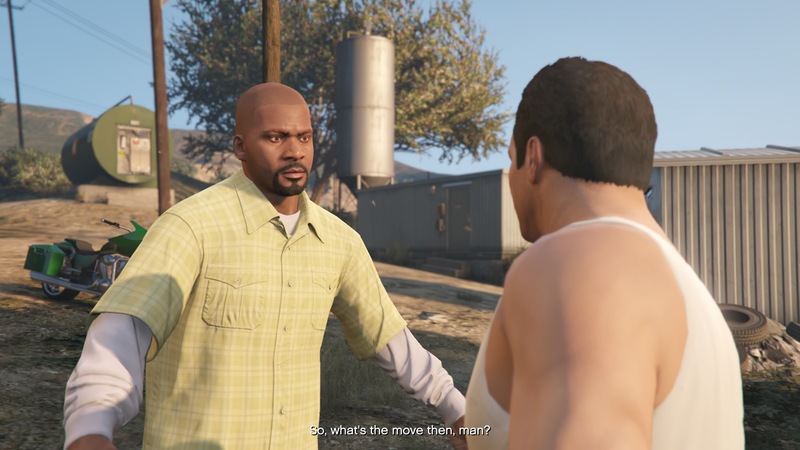 The three playable characters are Michael, Franklin, and the always entertaining and psychotic Trevor. Each character is well developed throughout the game, with each character introduction really defining the type of person they are and what you can expect from them later. While Michael and Franklin seem like OK guys, Trevor is clearly a depraved lunatic. 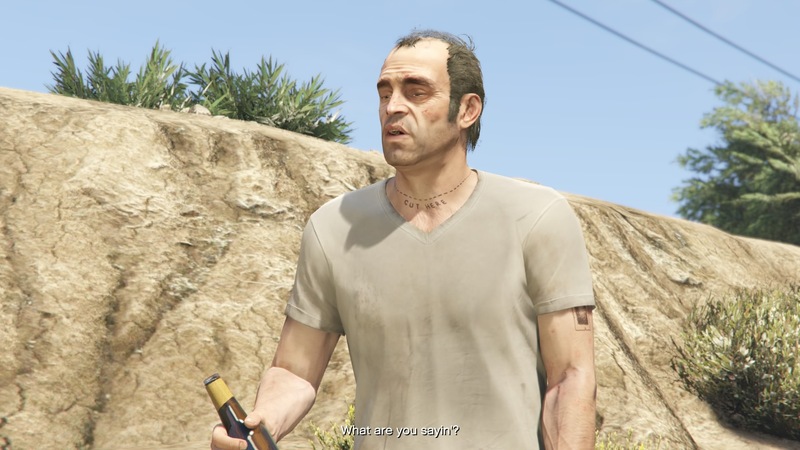 Swapping between each character can also be entertaining, and you never know what Trevor has got himself into. Let’s just say duct tape and a pier might be involved. While the main storyline is entertaining, there’s plenty of other stuff to do that’s just as fun, if no more so at times. GTA V is a massive open world game with a huge map that spans just about every climate imaginable. Add in changing weather and the map really comes to life. Driving though puddles on the street after a downpour is not only cool to look at, but you can feel those puddles affecting whatever you’re driving. 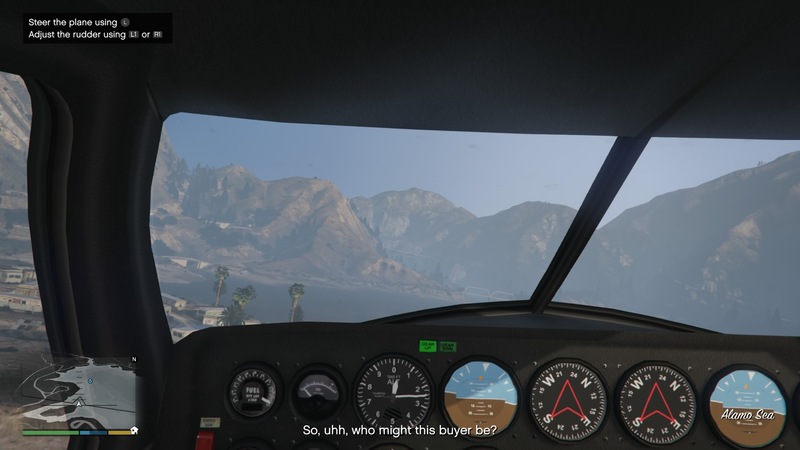 The types of vehicles in the game resemble some real world cars, planes and choppers, but don’t expect to see the Bugatti or Ferrari name on any of them. The story doesn’t have licensed cars, but don’t see that as a negative. Licensing isn’t cheap and those costs would have ultimately been passed on to us, the gamers. More content with unknown branded cars, that each have their own handling characteristics, means more fun to be had and more cars to enjoy. The PS3 and Xbox 360 versions had you playing in third person (looking over the shoulder of the character) but with the next gen release, you can now see through the eyes of each guy in first person mode. this includes driving and flying and adds a depth to the game like never before. Fist fights are much more enjoyable when you can see that beat down first hand. Each car has it’s own detailed interior as well, with working gauges and speedometers. Airplanes and choppers also have detailed interiors, with gauges just like in real life. As you progress through the story, you’ll earn cash that can be used to purchase properties around town. These properties add income for the character and have side missions that will require you to complete different tasks. These properties can also be interactive like the golf course or the strip joints. You can play a round of golf with the guys or play a round of whatever with the girls. This is an M rated game so don’t walk into a strip joint when you have kids around your TV as they might get an eye full of Penelope’s pole dance. When you are ready to take a break from the story, you can join a large number of folks in GTA Online. 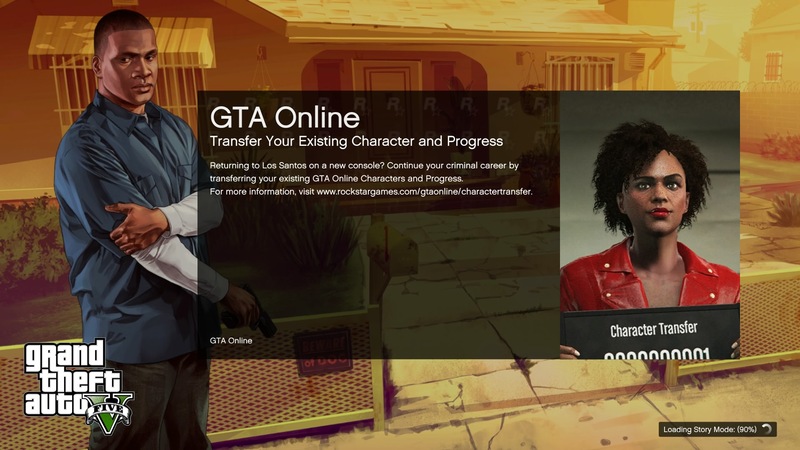 For those of you returning to the game from last gen, you can transfer your online character over to the newer version. You may have to load up your PS3 or Xbox 360 game in order to have the game recognize older accounts (we did) but the transfer process itself is pretty easy. GTA Online is a vast game that uses the same map as the story, so there are always plenty of things to do. You can join up with friends or play with random people, but either way you can easily spend hours on end pulling jobs, racing cars, or just taking other folks out. All of the DLC from last gen is already loaded and ready to go for this release, so there’s plenty of content for everyone. The next gen release of Grand Theft Auto V is more than just a polished up version of the game as it brings with it not only all of the DLC from last gen, but cool new features as well. First person mode, while it can even be forced on players online if you want, can be turned off for those of you die hard GTA fans that want to keep it old school, but at least give it a try as you can really see the details on a whole new level through the eyes of the guys. Even if you completed the game previously on last gen consoles, this is a game that is worthy of another playthrough. 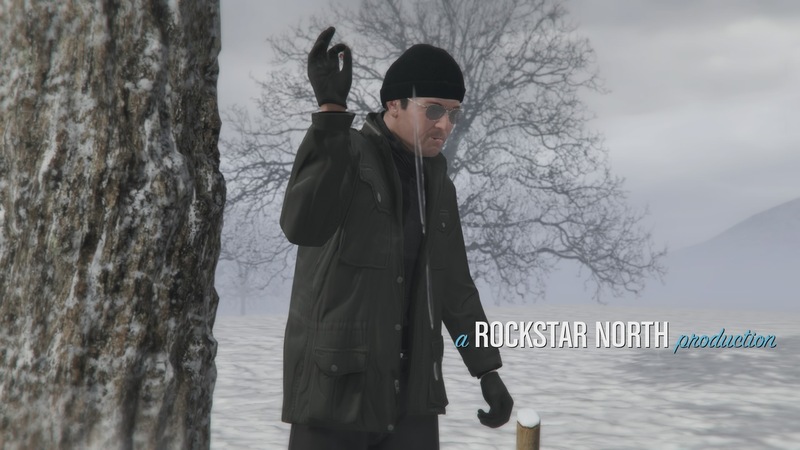 Graet job Rockstar North!